Try this, try that and see what entices customers. That's the mantra for tablet makers that are experimenting with new tablet features in the elusive quest to deliver the next big hit. Sony and Fujitsu are waterproofing their latest tablets, while Samsung is pushing multitasking by enabling users to simultaneously watch video, take notes and send email with the new Galaxy Note 8.0. Asus is bringing Android and Windows dual-boot capabilities to its Transformer AiO tablet-and-desktop hybrid, which was introduced last week. Device makers are flooding the market with new tablet designs to see what consumers are willing to pay for, said Jack Gold, principal analyst at J. Gold Associates. "Part of the problem is nobody knows what's going to stick," Gold said. "It's really about vendors wanting to differentiate and how they can get an advantage." The tablet market is very young, and will go through many changes just like the smartphone and PC markets, Gold said. Given their penchant for introducing innovative features to gadgets, it's not surprising that Japanese tablet makers are the first to waterproof tablets. Sony will soon begin worldwide shipments of its Xperia Tablet Z, a waterproof and dust-resistant tablet running the Android OS, and Fujitsu will ship its Arrows Tab Q582/F tablet, which has similar features and runs Windows 8. The tablets can remain submerged in up to 1 meter of water for up to 30 minutes and still work, according to Sony and Fujitsu. It's a handy feature for clumsy tablet users like me who tend to drop devices. This feature could ultimately come by default as tablet makers add ruggedness to their devices. The Xperia Tablet Z has a 10.1-inch screen, is 6.9 millimeters thick and weighs 495 grams. It has a quad-core Qualcomm Snapdragon processor and Android 4.1. Other features include an 8-megapixel rear camera and a 2-megapixel front camera. The screen displays images at 1920 x 1200 pixel resolution. It will become available in the second quarter, though price was not immediately available. Fujitsu's Arrows Tab Q582/F tablet has an Intel Atom Z2760 processor code-named Clover Trail and an integrated Fujitsu LTE modem. It has 64GB of solid-state drive storage and 2GB of RAM. The tablet provides an estimated 10 hours of battery life. It is due to ship in Japan for US$1,330 this month, though worldwide availability has not yet been determined. Samsung is emphasizing the ability to do multiple things at once with its Galaxy Note 8.0, which will ship in the second quarter. In demonstrations, Samsung officials showed that users could watch video and take notes simultaneously on the tablet, and link a note to a mapping application while the video was playing. Samsung has added some software features and the multitasking was aided by extensive use of Samsung's S-Pen stylus. Multitasking on the Galaxy Note 8.0 didn't seem as seamless to me as it is on a PC, but Samsung gets points for trying. It's difficult to switch between applications or to adjust window sizes on a small touchscreen interface, but as customers demand more from their tablets, Samsung is listening. 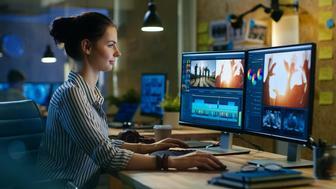 Right now, multitasking is not a make-or-break feature for tablet usage, which revolves around tasks like email and video streaming, but not intense video editing, said Roger Kay, principal analyst at Endpoint Technologies Associates. But multitasking is being heavily touted by Android tablet makers as a key feature, Kay said. The Galaxy Note 8.0 has Android 4.1 and a 1.6GHz quad-core ARM processor. The screen displays images at 1280 x 800 pixel resolution. Other features include a 5-megapixel rear camera and 1.3-megapixel front camera, 16GB or 32GB of storage, and 2GB of memory. Samsung said it would release pricing at a later date. Asus recently announced it would ship a dual-boot Transformer AiO PC that can be an Android 4.1 tablet or a Windows 8 desktop when connected to a wireless PC docking station. With an 18.4-inch screen, the tablet is oversized, but the dual-boot feature provides an interesting twist to a market where tablets are closely tied to operating systems. The oversized tablet can also connect to the docking station wirelessly to become a remote Windows 8 virtual desktop. In the future, we may see dual-boot tablets offering the option to load Windows or Linux-based operating systems. The tablet weighs 2.28 kilograms, provides five hours of battery life and runs on an ARM processor. Other features include 2GB of RAM, a front-facing camera, mini-USB 2.0 port, micro-SD slot and Wi-Fi. The docking station has typical PC hardware with an Intel Core i5 processor based on the Ivy Bridge microarchitecture, a Nvidia GeForce GT730M graphics processor, 1TB hard drive, 8GB of DRAM, USB 3.0 ports, an HDMI port and Wi-Fi. The tablet will become available in the second quarter starting at $1,299. Asus last month introduced a "phablet" named Fonepad, which is a standard 7-inch tablet, but with 3G connectivity. When introducing the device last month at Mobile World Congress, Asus Chairman Jonney Shih held a Fonepad up to his ear as if to indicate the tablet can be used as a supersized phone. Lenovo also introduced new Android tablets with 3G connectivity for developing countries, where LTE is not available. HP, which will soon start shipping its $169 Slate 7 tablet, made a conscious decision not to include 3G as the company considers Wi-Fi connectivity sufficient. More tablets are being released with 3G and 4G chips included, but many opt not to use mobile networks and find Wi-Fi enough for Internet access, said Gold of J. Gold Associates. "There are a lot of people who don't want to pay $40 to $50 a month" for 3G or LTE connectivity, Gold said. But whether users like it or not, connectivity to 3G and 4G networks is being integrated into the Wi-Fi chip, Gold said. So the feature will increasingly become available by default in many tablets, and it's cheaper for device makers to just put the combined chip in tablets, Gold said. The race to improve screen resolution is already under way, with the next goal perhaps being 4K resolution, which is four times today's high-definition screens. Panasonic at International CES showed a 20-inch tablet capable of displaying images at a 4K resolution of 3840 x 2160 pixels. The best available resolution today is on Google's Nexus 10 tablet, which displays images at 2560 x 1600 resolution, and Apple is a close second with the iPad's 2048 x 1536 resolution. Right now, Panasonic considers the 4K tablet a niche product, relevant mostly for multimedia tasks like video editing. But as gaming and movie companies begin offering 4K content, higher-resolution screens will become more relevant. 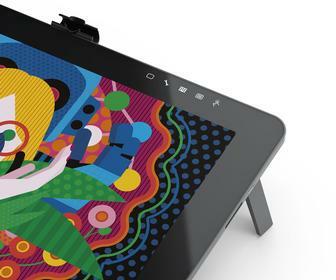 Screen sizes and prices apart, there's a lot of untapped potential in the tablet market and many designs will appear as companies try to figure out what works for buyers, Endpoint's Kay said. Tablets are already being pitched as gaming consoles and mobile payment terminals, Kay said. Tablets are also being touted as the centerpiece of living rooms to operate TVs and other multimedia devices. The cloud is encouraging the development of specialized tablets and gadgets that fit snugly into corporate environments or for delivering online services like video streaming, Kay said. There will be devices built in the vein of Amazon's Kindle Fire, which is designed mostly to purchase books, video and music from Amazon's online retail store. Companies are already showing such devices, Kay said. For example, HP has showed off some tablet designs with different screen sizes behind closed doors, some of which might come out this year or the next. But the tablet market has changed tremendously in the few years since Apple's iPad was released. The market will continue to evolve, with some tablets succeeding, and a lot failing. "Not all of them will be positioned quite right or priced quite right," Kay said.